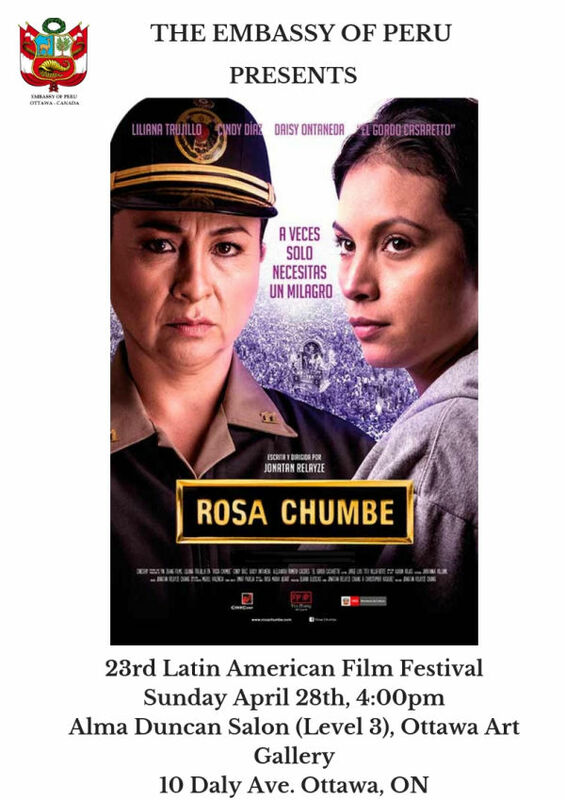 The team of the Embassy of Peru in Canada is pleased to share with you the screening of the Peruvian film “Rosa Chumbe” by Peruvian Director Jonatan Relayze, as part of the 23rd Latin American Film Festival organized by the Canadian Film Institute. The presentation of this movie will take place on April 28th at 4:00 pm (Alma Duncan Salon, level 3, Ottawa Art Gallery, 10 Daly Ave. Ottawa). SYNOPSIS: Rosa Chumbe is a woman police officer who is forced to take care of her grandson after her daughter abandoned her. Everything takes a wrong turn one night. Only a miracle can save her. 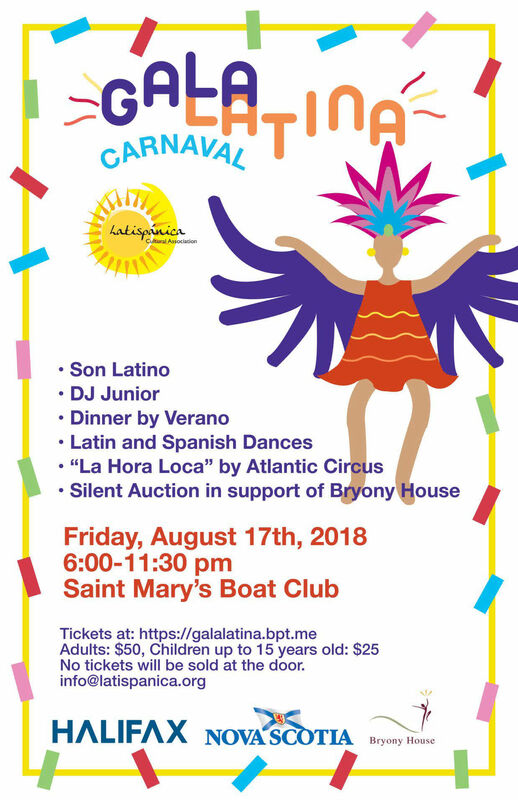 ¡We look forward to see you there! We appreciate the visit of Mr. Cam Schenk, Development Director of Iconium Media Inc., member of the Neufeld Foundation, which has been carrying out an outstanding social work in the town of Manchay (district of Pachacamac, Lima, Peru) in irrigation projects for arid areas, as well as training for low-income families dedicated to agricultural activities, sanitation and housing projects. 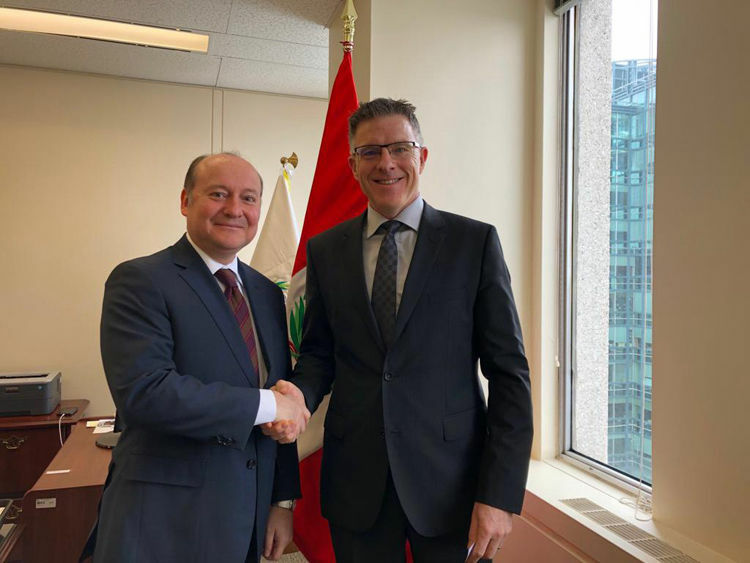 Ambassador Roberto Rodríguez Arnillas thanked the important work carried out by the Neufeld Foundation and reaffirmed the best disposition of the Embassy of Peru to continuing promoting and facilitating this remarkable work in favor of the most vulnerable populations in Peru. 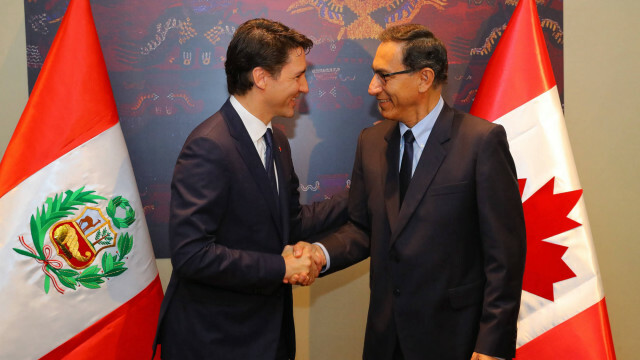 Today is a special day for Peru and Canada, since 75 years of the establishment of diplomatic relations are commemorated. This anniversary represents a special occasion to reaffirm the values and principles shared by both countries, such as the rule of law and the defense of democratic institutions, respect and promotion of human rights, the sustainable use of natural resources and the fight against climate change as well as the defense of free trade and the promotion of cultural diversity and the rights of indigenous peoples and women. Today, October 8th, a date on which we commemorate the heroic performance of Admiral Miguel Grau Seminario at the Combat of Angamos, the Embassy of Peru in Canada wishes to greet the Navy of Peru for its dedicated work for the protection of our sovereignty and territorial integrity and its valuable contribution to national development. The Ambassador of Peru Roberto Rodríguez Arnillas received the visit of Mrs. Karen and Mr. Murray Jones, President and Director of the Canadian non-profit association CAFA - Canadian Friends of Aniquem which since 2006 has been giving support and raising funds for the Peruvian specialized medical institution Aniquem that provides rehabilitation and medical therapy for children of limited resources that have suffered injuries by burns. The representatives of CAFA presented the work they have been carrying out through local fundraising events for ANIQUEM, direct supervision of the support programs provided by ANIQUEM, the organization of workshops and camps aimed to give psychological support to children who have suffered burns, the organization of burn prevention workshops in schools and communities as well as providing scholarships for patients in order to cover their elementary, secondary and post-secondary studies. 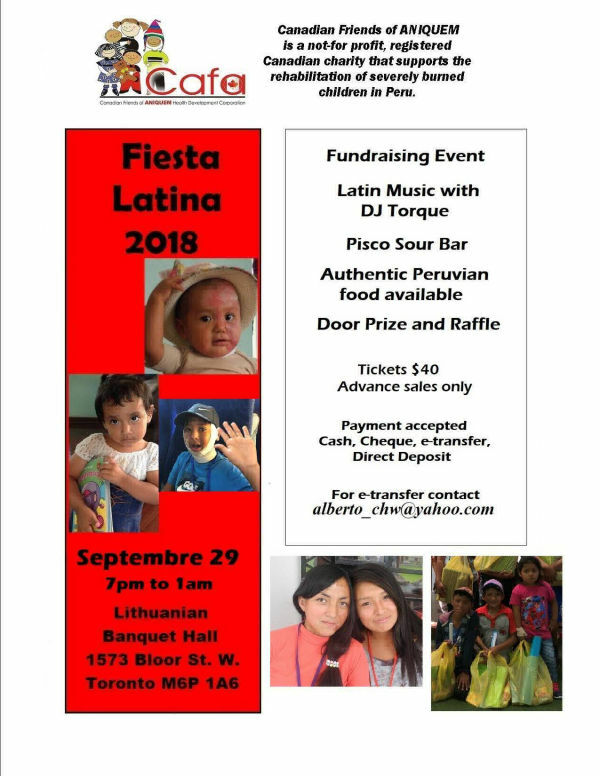 CAFA will organize a fundraising event in the city of Toronto ("Fiesta Latina 2018), scheduled for September 29th, 2018. 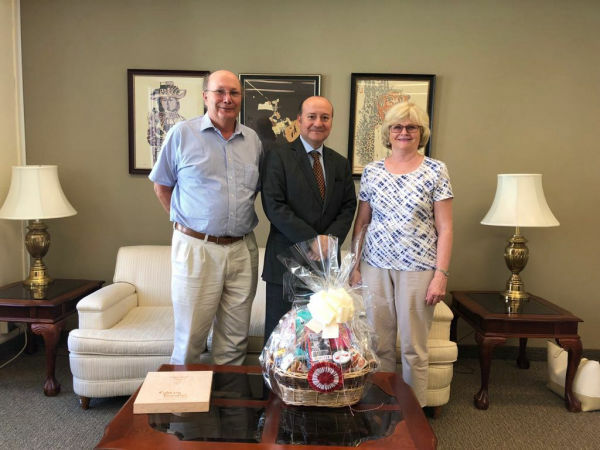 For this purpose, Ambassador Rodríguez Arnillas has donated a basket of Peruvian products so that it can be auctioned among the attendees to the event. We share with you the information regarding this event and how to contact this institution for those who might be interested in collaborate with this institution . 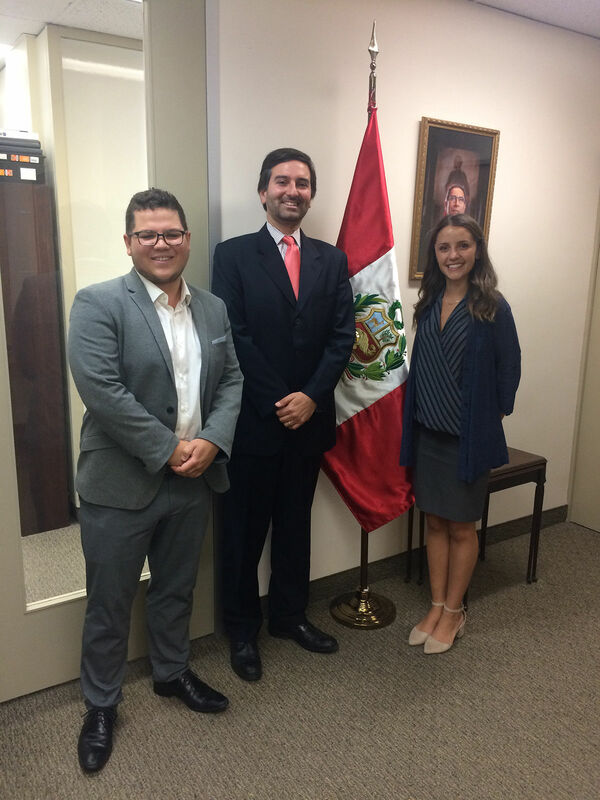 The Embassy of Peru received the first group of students who will be participating in a "International Development and Diplomacy Internship Programme" at UNICEF Perú, working in important issues for our country such as environmental sustainability and food security. 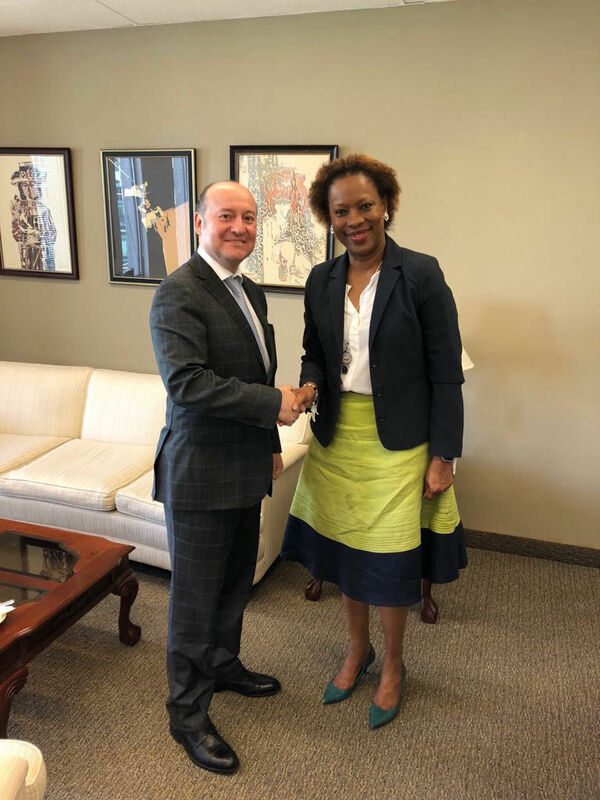 The Ambassador of Peru, Roberto Rodriguez met with Mrs. Audia Barnett, IICA Representative in Canada, in order to explore cooperation possibilities with Canadian support in agriculture, especially in Cocoa cultivation in Peru. 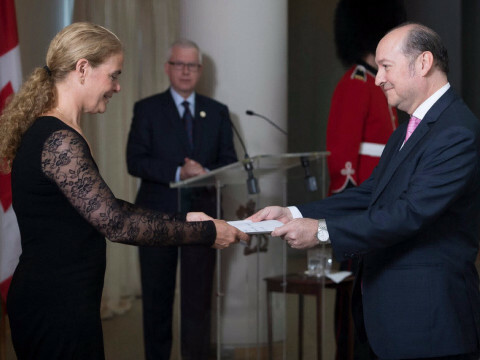 On June 29th The Ambassador or Peru in Canada, Roberto Rodriguez Arnillas, presented his letters of credence to the Governor General Julie Payette at a ceremony held at her official residence in Quebec City, the Citadelle. During her speech delivered at the ceremony, Governor General Payette referred to Peru, highlighting the values and principles that Peru and Canada share, such as the defense of human rights, democracy and the protection of the environment; besides being important commercial partners and allies at the Organization of American States (OAS) and the Pacific Alliance (AP). Likewise, the Governor General stressed that the bilateral relationship between Peru and Canada is longstanding, being close to turning 75 years of this close relationship. 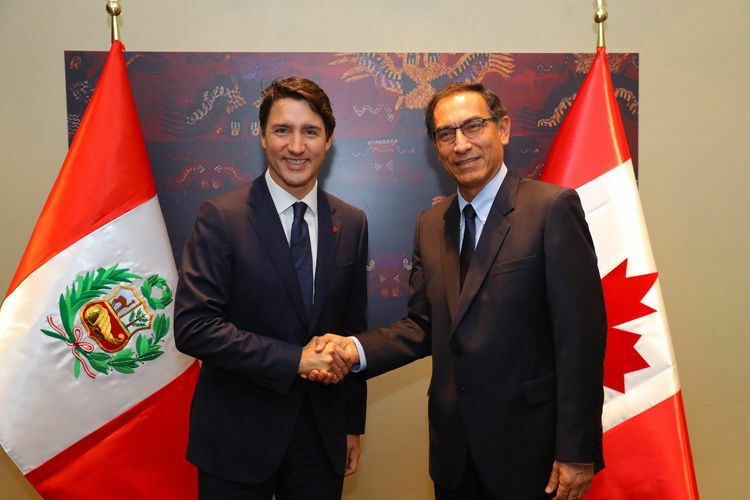 Subsequently, Ambassador Rodríguez Arnillas held a private meeting with the Governor in which he highlighted the excellent level of bilateral relations between both countries, referring to what was pointed out by the Governor during her address about Peru. Ambassador Rodríguez Arnillas expressed that our ties have been substantially strengthened in the recent years, as well as diversified, highlighting the area of ​​cooperation that has increased significantly, and the political-diplomatic coordination that is currently very close and fruitful in the multilateral sphere (United Nations and Organization of American States). Is the most important festival of this type of camelid in the world, organized every 4 years in the city of Arequipa. 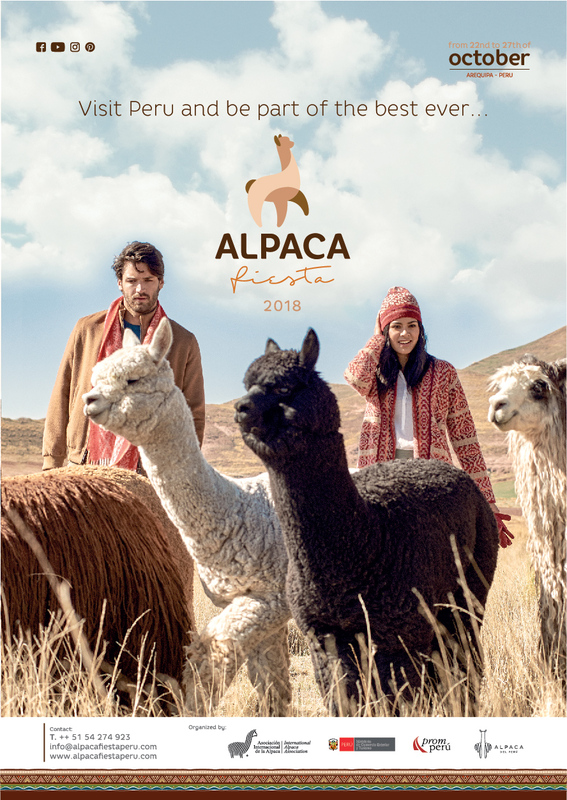 It gathers relevant breeders, researchers, enterprises and institutions linked with the alpaca and the fashion world. There will be business roundtables as well as forums on alpaca breeding and its use in the textile and fashion industries. 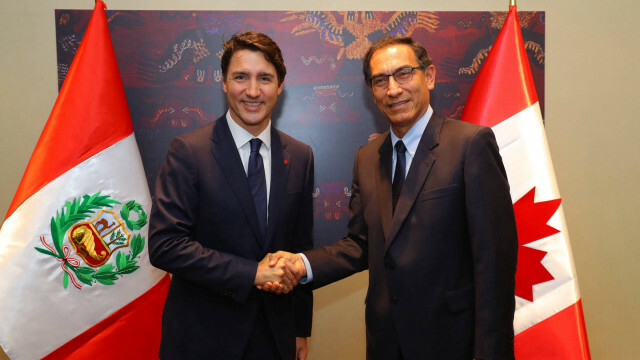 The President of Peru Martín Vizcarra held a bilateral meeting with the Prime Minister of Canada, Justin Trudeau on April 13th on the framework of the VIII Summit of the Americas, which was recently organized in Lima, Peru on April 13th and 14th 2018 . The meeting was aimed to continue reinforcing the excellent level of relationship that both countries have through the dialogue on different priority issues of their bilateral and multilateral agenda. The Ministers of Foreign Affairs of Peru, Nestor Popolizio and Canada, Chrystia Freeland, held a bilateral meeting the last April 12th at the Peruvian Ministry of Foreign Affairs headquarters, which was an excellent opportunity to exchange views and expectations about the organization of the VIII Summit of the Americas, which took place on April 13th and 14th 2018 and also dialogue about the several matters of the bilateral agenda. 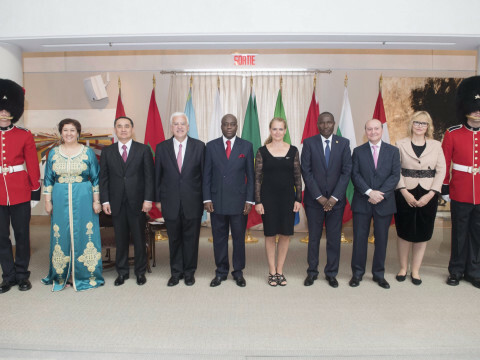 The website contains the general program, news and information about the Plenary Session of the Summit, as well as various forums that will be held within the framework of this event, such as the III Americas Business Summit, the Civil Society and Social Actors Forum, the V Young Americas Forum, the Indigenous Peoples Forum and the III Meeting of the ParlAmericas Open Parliament Network. It also incorporates information on logistical issues such as accommodation, transportation, visa processing, accreditation, among other issues of interest. 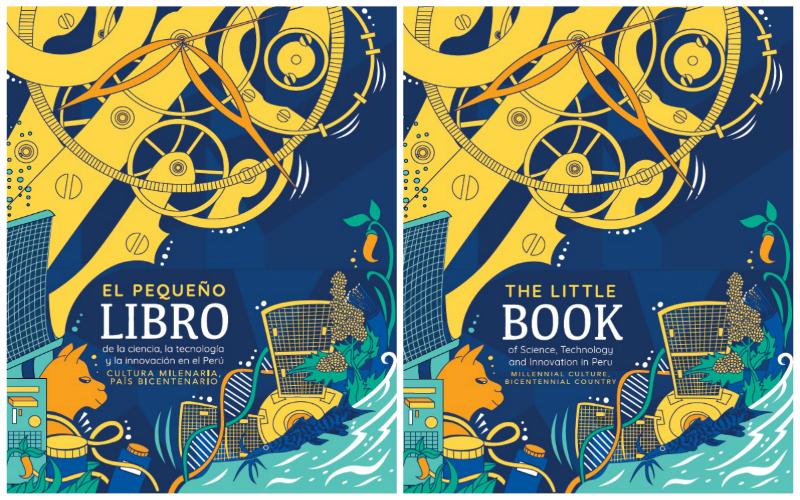 This publication, edited in Spanish and English languages, will contribute to promote Peruvian potential in the field of research and innovation. The International Development Research Center (IDRC) based in Ottawa, Canada is currently calling for applications under its “IDRC Research Awards”. Research award recipients will undertake a one-year paid program of research and will receive hands-on experience in research management, grant administration, and the creation, dissemination, and use of knowledge from an international perspective. Navy training ship BAP Union earned first place in its category at Rendez-Vous 2017 Tall Ships Regatta, a major international event for sailing ships. The race saw more than 20 vessels from 14 countries. 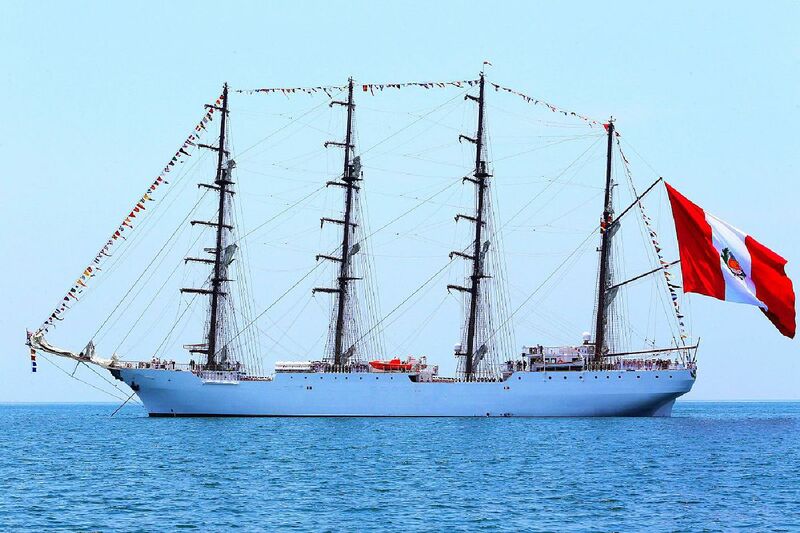 Both the four-masted barque Union (Peru) and the U.S. Coast Guard's Eagle were leading the way, followed by other vessels such as Training Ship Guayas (Ecuador), Esmeralda (Chile), Alexander von Humboldt (Germany) and Europa (the Netherlands), among others. Following a successful participation, Union took the first spot in the overall ranking and its category. It was also the fastest ship in the competition. Peru have been chosen to host the 10th World Potato Congress in Cusco, Peru in 2018, an event organized by the non-profit World Potato Congress (WPC) Inc., which is dedicated to supporting the global growth and development of the potato. 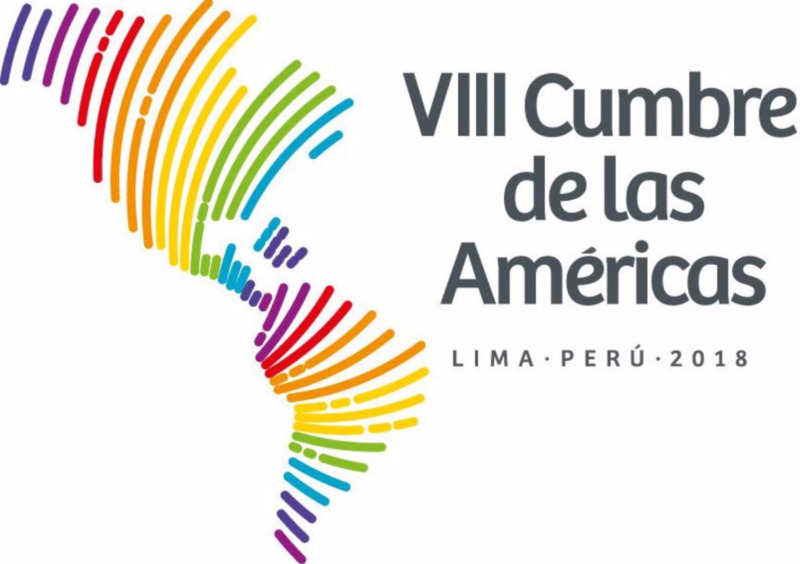 The designation of Peru as host country marks the first time that the Congress will be held in Latin America. The 10th World Potato Congress is expected to attract more than 800 potato scientists and industry representatives from around the world. It will be held in the Peruvian city of Cusco, high in the Andes. The former capital of the Incan empire, Cusco lies in a region where people have been growing potatoes for thousands of years. 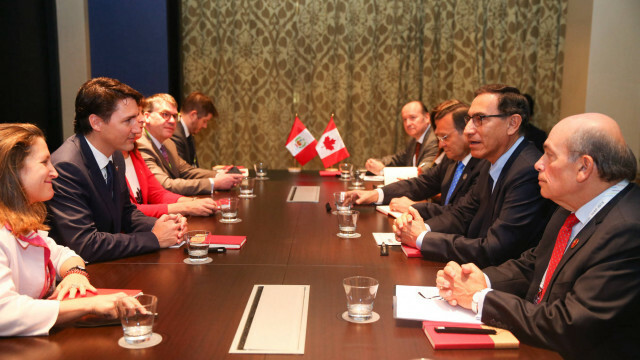 Peruvian Minister of Foreign Affairs, Ricardo Luna, meets with Canadian Minister of Foreign Affairs, Stephane Dion, on the sidelines of APEC 2016, to discuss issues of their bilateral agenda. We share with you a news article published by “Agencia Andina de Noticias” regarding the successful Road Show of Investment and Trade, held on October 26th 2016, which was organised by the Embassy of Peru in Canada.